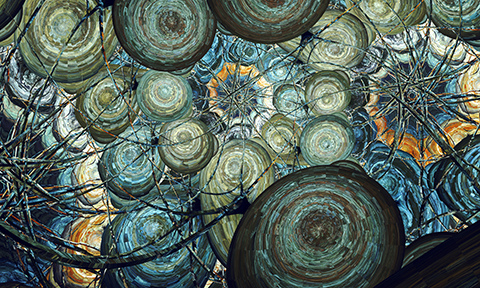 After tremendous encouragement from both our followers on Facebook and the deviantArt community it's time for a long-awaited update, with some big improvements that keep Chaotica on the cutting edge of fractal art software. This release introduces keyframe animation support and a number of important improvements and fixes. Read on for more information about these updates, and what's in store for future releases. Chaotica 1.5 introduces a powerful animation system, which will be very familiar to anyone who's used professional 3D software: timeline-based keyframing. Simply move the timeline while you edit your fractal, and it will smoothly blend between the keyframes. Chaotica rapidly renders stunning motion-blurred animations either for standalone use or further compositing. Thanks to Baka Arts we have an awesome tutorial for creating animations, be sure to check it out! The ultra quality rendering mode, important for its very crisp images and low memory usage, has been refined in this release, and you can easily work in production quality in real time on any modern CPU. Chaotica's rendering engine requires no special hardware, and achieves its superior performance through improved algorithms and an efficient C++ implementation. Mac OS Mavericks is fully supported in this release, and Mac users will notice an especially large performance increase, up to 2x in many cases. 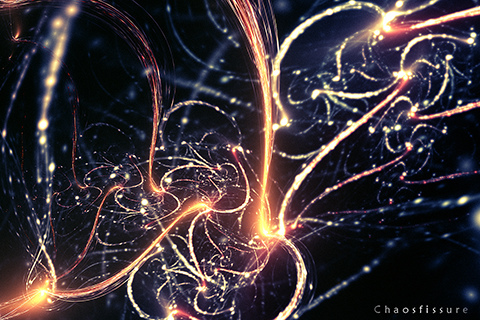 One of Chaotica's most important features for Apophysis users is the ability to render high resolution, high quality print images. 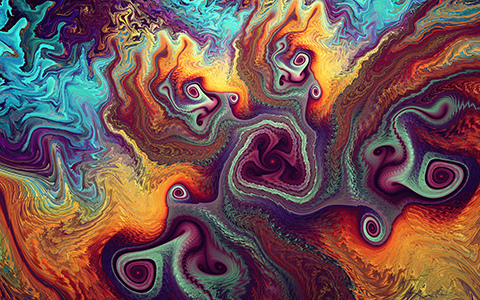 However, sometimes many Apophysis DLL plugins are required for their works, and some of these are neither implemented natively nor available as a 64bit plugin. In such situations being able to get the best quality image in the smallest memory footprint is crucial, and Chaotica is now compiled to be large address aware for 32bit Windows builds, allowing it to use up to 3GB of memory instead of 2GB. Support for Windows' advanced memory management features can improve overall rendering speed by up to 15%. Many usability improvements are included in version 1.5, along with a number of fixes for issues reported by users - thank you to everyone who's helped us improve Chaotica! Node type filters are now available in the editor, to focus on the transforms, shaders or selectors. Parameter fields can now be dragged with the mouse to vary them in real time, and camera parameters are editable in the world editor for convenient and accurate adjustment. Future releases will focus on improving usability and editing capabilities, including a fast image preview and visualisation of transforms in the editor. Chaotica 1.5 is a free update for Chaotica 1.x, and is available on Windows, Mac OS X and Linux. or thomas@indigorenderer.com for general enquiries.